Once you discover the sweet taste of stevia, you may never go back to common table sugar again. 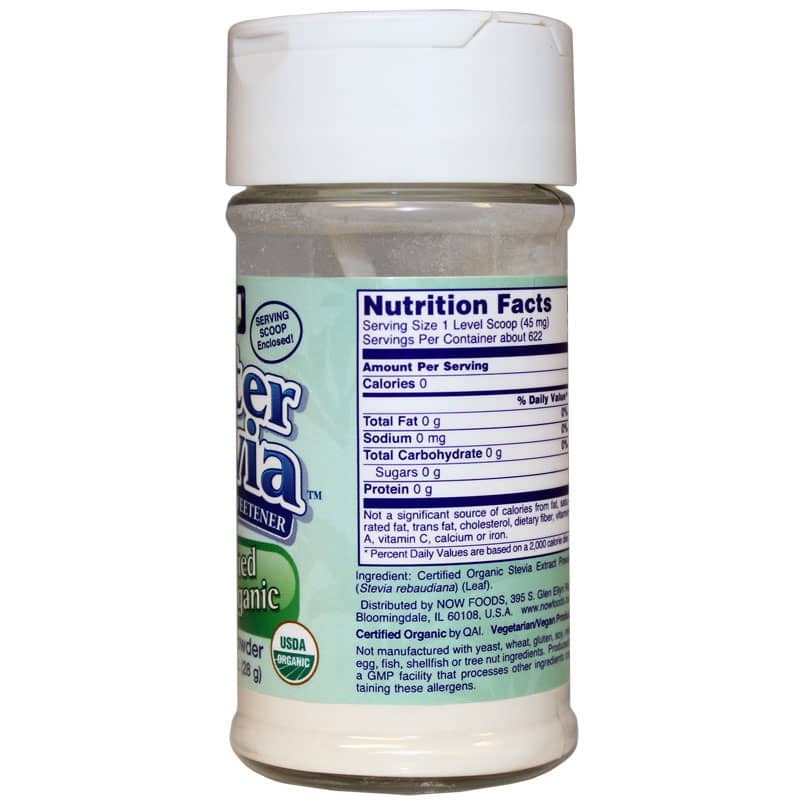 Derived from the stevia plant, this powder can help you add sweetness to your food and drinks without any added guilt. That's because Better Stevia Extract Powder from NOW Foods is Calorie-Free. It also won't cause your blood sugar levels to rise or cause cavities. NOW Foods offers this sugar substitute as a healthy alternative to both normal sugar and potentially harmful artificial sweeteners. Specials measures are taken to preserves the stevia's natural qualities so you get a pure, better-tasting product. 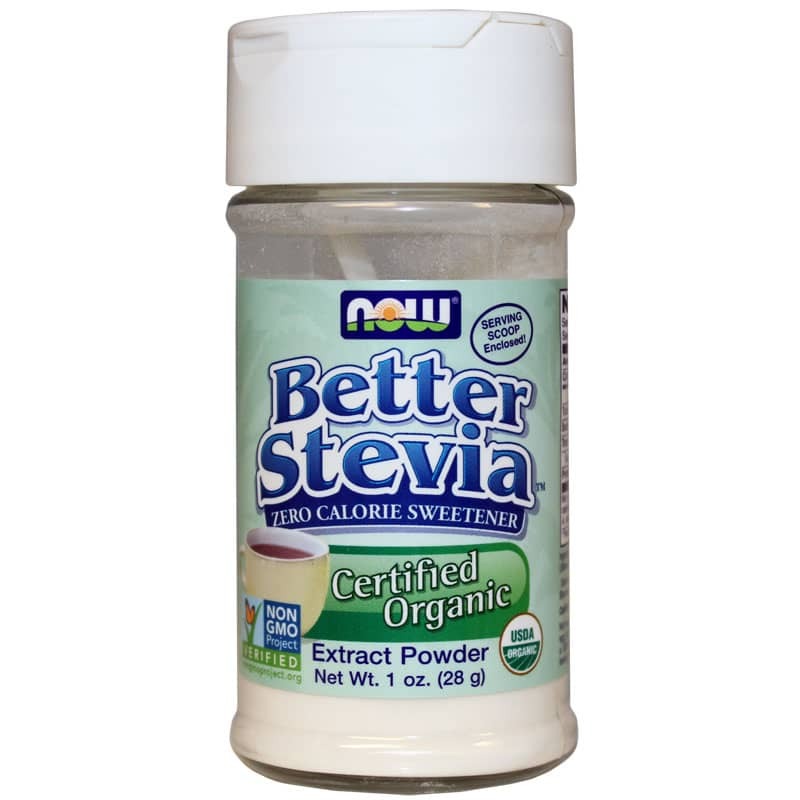 Just a single teaspoon of Better Stevia provides the same sweet flavor as an entire cup of sugar. If you're watching your blood sugars or cutting back on calories, you can make it happen without sacrificing the sweet taste you love. Try it in baked goods, or just sprinkle a little in your coffee and cereal in the morning. Stevia offers many possibilities! Stop stressing out about sugar and make the natural choice. 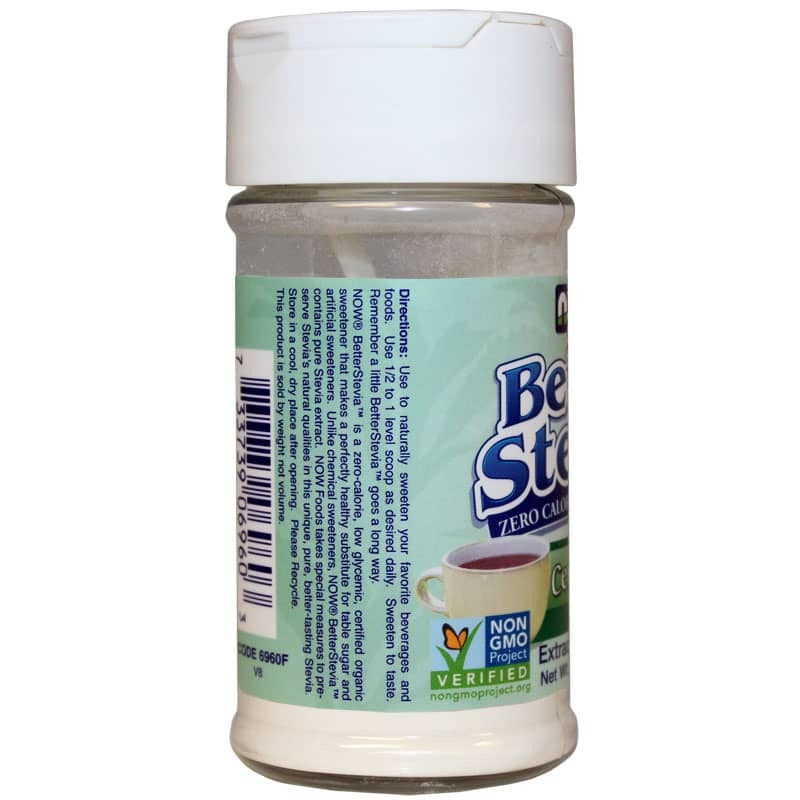 Order Better Stevia Extract Powder from NOW Foods today. Not manufactured with: yeast, wheat, gluten, soy, milk, egg, fish, shellfish, or tree nut ingredients. Vegetarian/Vegan Product. Use to naturally sweeten your favorite beverages and food. Use 1/2 of a 1 level scoop as desired daily. Sweeten to taste. Remember a little BetterStevia goes a long way. This is the ONLY sweetner to use for zero calories. Plus I can use AS MUCH AS I WANT as OFTEN AS I WANT! I will never be without it---it's awesome! I have tried multiple brands of stevia and this has by far the best flavor. Almost no after taste. I love it! The price at Natural Healthy Concepts was also the best I found. This product has a tiny scoop, but a lot of pack for the punch, as you're not getting all the fillers many other brands carry. One scoop is all I need for my cup of tea. Quick simple and best price. Great, speedy service, excellent purchase, good price!